EN-TIRE Car Care Center in Lawrence, KS may not have invented the wheel, but we perfect them on any vehicle you bring us. Many of our customers enjoy outdoor excursions with their family and their recreational vehicle. Owners appreciate our expertise in fitting every type of recreational vehicle–boat trailers, RVs, etc.–with the appropriate tires. If you’re all set to take your boat from the garage to the lake for a fishing trip, the only thing stopping you could be your boat trailer tires. Get them replaced today so you can get out on the water. Our quality tire sales and service all-purpose. When you take your family out on a safe and comfortable trip in your RV, a flat tire may be the last thing you think of. RVs feel comfortable and safe on the road, and that’s the appeal. Normal road travel can lead to a damaged or flat RV tire. You can’t go just anywhere to find your quality RV tires. Your family’s RV does not need regular replacement tires. You and your family need the best there is–EN-TIRE Car Care Center will have your back every time. For top quality tire sales and tire service to keep your RV on the road, come to us first and last. Call US For Boat Trailer/RV Tires! You’ve been having great boat trips and RV trips for years. In the middle of all that fun, your trailer tires and RV tires have been dependable. Our shop is here to make sure you keep it that way. With our thorough tire maintenance and inspections, you’ll never get caught with faulty tires. Protect your family and your property better with EN-TIRE Car Care Center. 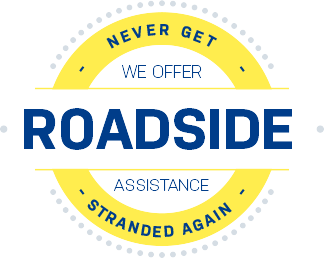 Give us a call today at 785-842-5500 with any questions or concerns about your trailer or RV tires. Next time you’re in area, feel free to stop by to see why we’re the best!